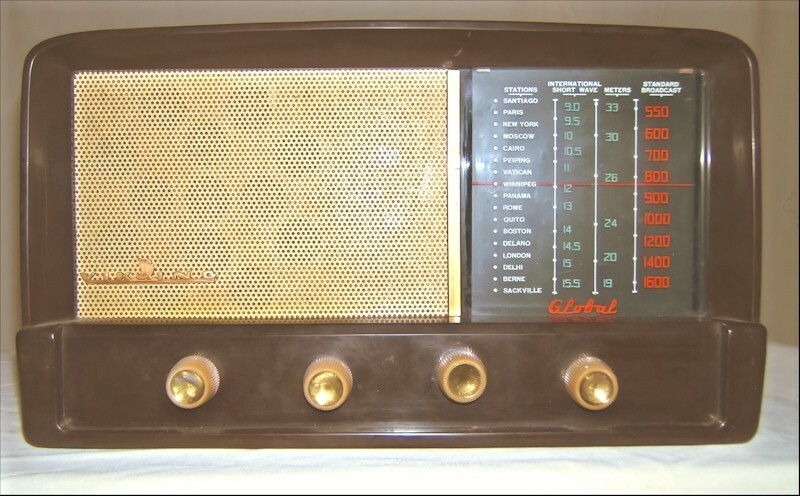 This unique battery radio, manufactured by Dominion Electrohome Industries, was also referred to as Electrohome Viking. Viking was one of Hudson's Bay Co. brand names sold exclusively by the firm. This was an upscale product for the affluent market and with the short wave band was dubbed the Global.